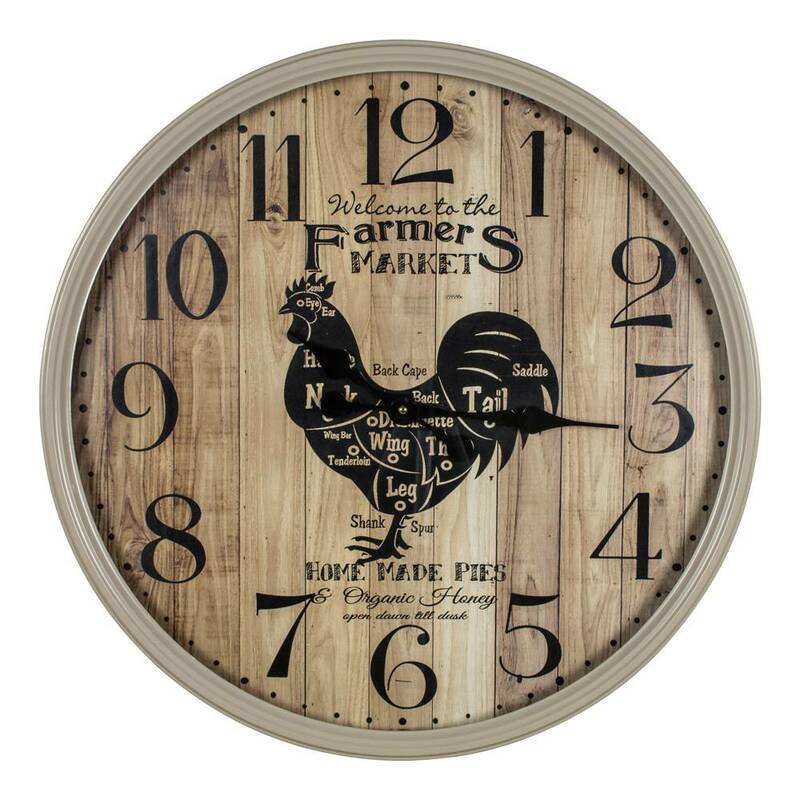 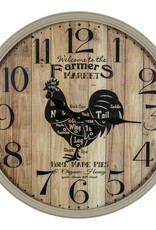 A large beige metal clock with a faux wooden panel with the inscription "Welcome to the Farmer's Market" and a diagram showing the meat cuts of a chicken. 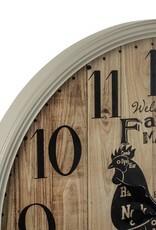 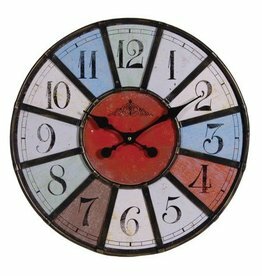 Metal wall clock with Roman numerals and quartz mechanism. 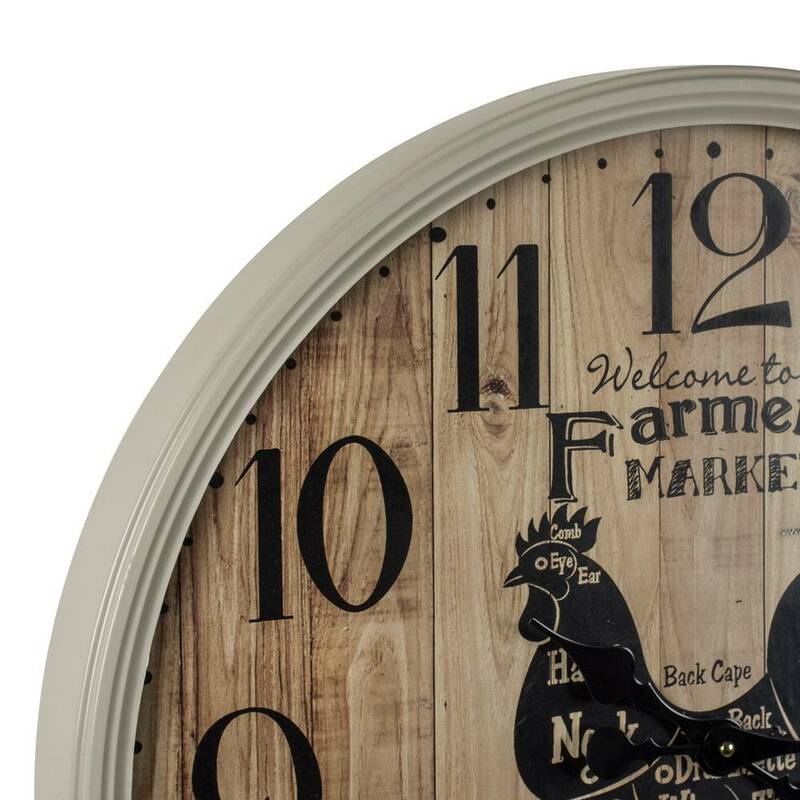 An addition to any room.